The Israeli occupation forces on Wednesday threatened the demolition of Palestinian structures in occupied Jerusalem’s al-Issawiya village. Eye-witnesses said Israeli police stormed al-Issawiya village and photographed a number of Palestinian structures, pending their demolition. 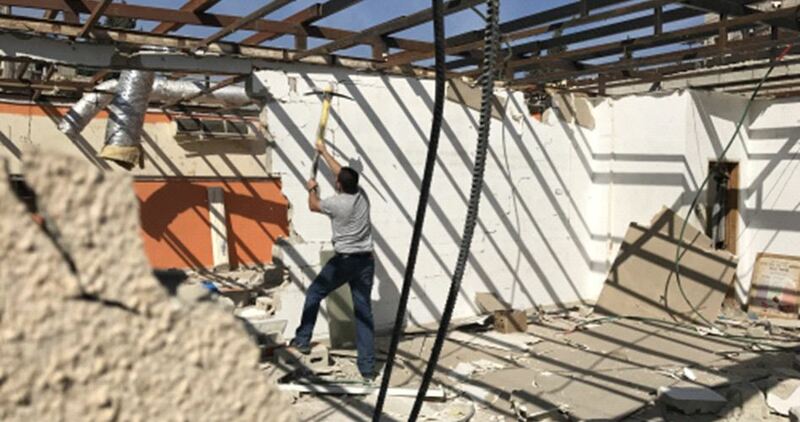 The Israeli police ordered that a number of homes and shops be knocked down and to stop the construction of others under the guise of unlicensed construction. A group of illegal fanatic Israeli colonialist settlers invaded, earlier Wednesday, an archeological site, south of Jaloud village, south of the northern West Bank city of Nablus, and caused damage, in addition to uprooting ancient olive trees. The invasion targeted an ancient archeological site, known as the Khirbat al-Qasser, south of Ein Jaloud village. 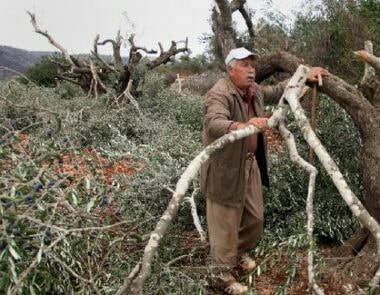 Ghassan Daghlas, a Palestinian Authority official in charge of monitoring Israel’s illegal colonialist activities in northern West Bank, said the colonists also uprooted many ancient olive trees. He added that recent pictures revealed the amount of damage caused by the illegal colonists in their repeated invasions into the archeological site, in Basin 18 of Jaloud lands. Daghlas stated that the colonists have already uprooted dozens of olive trees, fig trees and almond trees in Khirbat al-Qasser, in addition to bulldozing and leveling lands to use them for their events, parties and ceremonies. It is worth mentioning that Khirbat al-Qasser, along with its 50 Dunams of land, is surrounded by three illegal colonies; Kida, Ahiya and Esh Kodesh, and contains many ancient sites, caves and wells. The family of Ahmad Mahmoud Abbas owns the agricultural lands that surround Khirbat al-Qasser. Khirbat al-Qasser archeological site is about 800 meters above the sea level and contains structures that date back to the Canaanite era, in addition to the Ayyubid era, along with the Bezantian and Roman eras, and include the foundations of various structures, wells, basins and caves. Daghlas stated that Israel has been completely preventing the Palestinians from entering the area since the year 2001, under the allegation that “it is close to the settlement outposts,” which were illegally built on Palestinian lands, in direct violation of International Law and the Fourth Geneva Convention. Israel's Jerusalem municipality on Tuesday announced a plan to build a new settler road stretching from Abu Dis town to Ma'ale Adumim settlement. Head of the Palestinian Land Defense Committee in Jerusalem Bassam Bahar said in press statements that Israel is intending to seize over 1,000 dunums of Palestinian agricultural land in favor of this project. 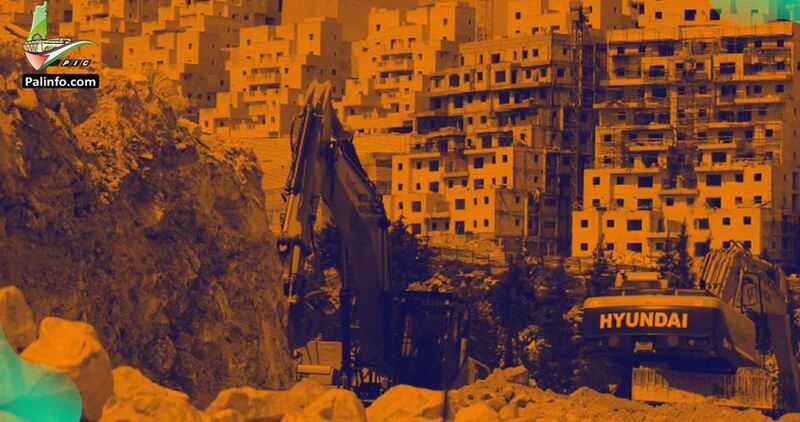 The Israeli municipal authorities in occupied Jerusalem approved on Tuesday the construction of 13 settlement units west of Sheikh Jarah neighborhood. According to Israeli media sources, local Palestinian residents will be evacuated to another area before implementing the settlement project. Meanwhile, Israel declared intention to seize over 1000 dunums of agricultural Palestinian land east of the occupied city in order to link the nearby settlements with a road. 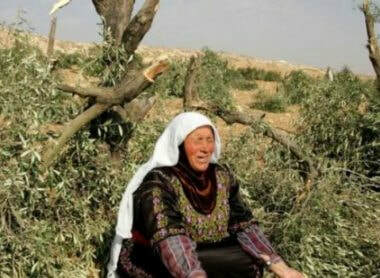 A group of illegal Israeli colonialist settlers uprooted, Tuesday, many olive saplings in the al-Hamra area, east of Yatta town, south of Hebron, in the southern part of the occupied West Bank. Rateb Jabour, the coordinator of the Popular and National Committees in southern Hebron, said the assailants came from Ma’on illegal colony, which was built on Palestinian lands east of Yatta. 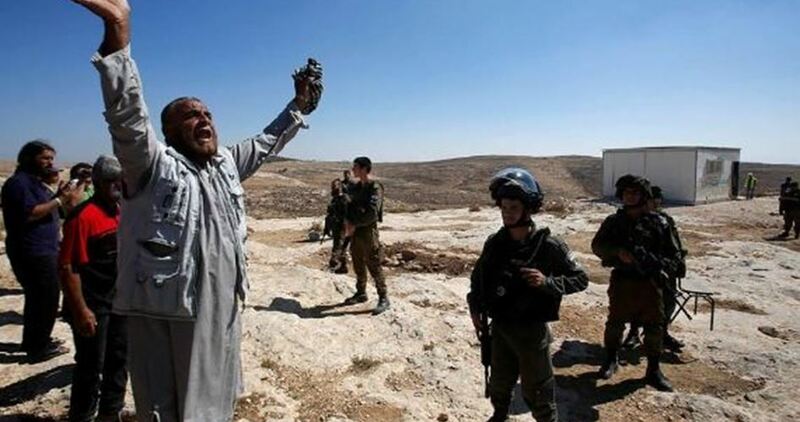 He added that the Israeli assailants uprooted 23 olive saplings in the al-Hamra area, east of the Tiwana village, and that the orchard is owned by Jom’a Mousa Rib’ey. Jabour also stated that such attacks have witnessed a serious escalation in recent years, and aim at forcing the indigenous Palestinians out of their lands, in order to build and expand the illegal colonies, in direct violation of International Law and the Fourth Geneva Convention. He called on various local and international human rights groups to intervene and end the escalating Israeli violations, especially since the illegal colonists are encouraged by the extremist government of Benjamin Netanyahu. 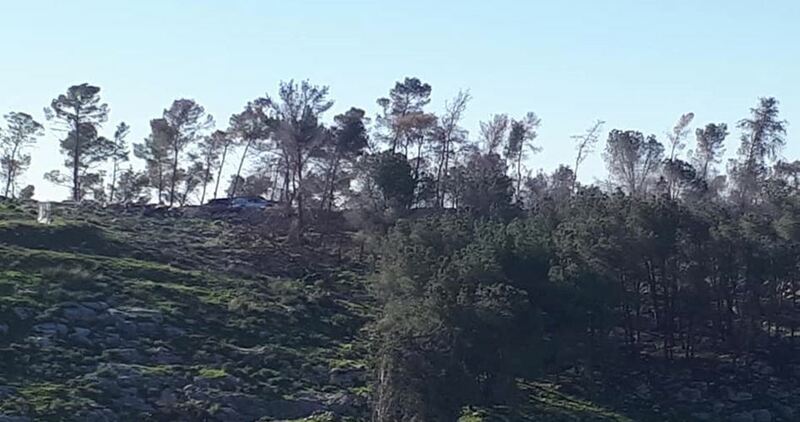 On Tuesday, dozens of Israeli soldiers, accompanied by bulldozers, invaded Palestinian orchards in Bardala village, in the West Bank’s Northern Plains, and uprooted at least 450 olive trees. Media sources said the soldiers surrounded the entire area, before invading it, and proceeded to uproot the olive trees, owned by several villagers. They added that, last year, the army issued orders for uprooting the trees in that area, after alleging that the orchards are in “state-owned lands,” which have been illegally confiscated. Bardala village is one of the very few Jordan Valley villages designated as area B, under the Oslo accords, giving some theoretical rights to the local population to have control over infrastructure and planning controls. However, just 3 km2 in the center of the village is in area B, and all surrounding areas and farmland are in Area C, over which the Israel army has absolute control in the occupied West Bank. A horde of extremist Jewish settlers on Monday appropriated a large tract of shrubland near Khirbet Mas’oud village in Ya’bad town, south of Jenin in the occupied West Bank. 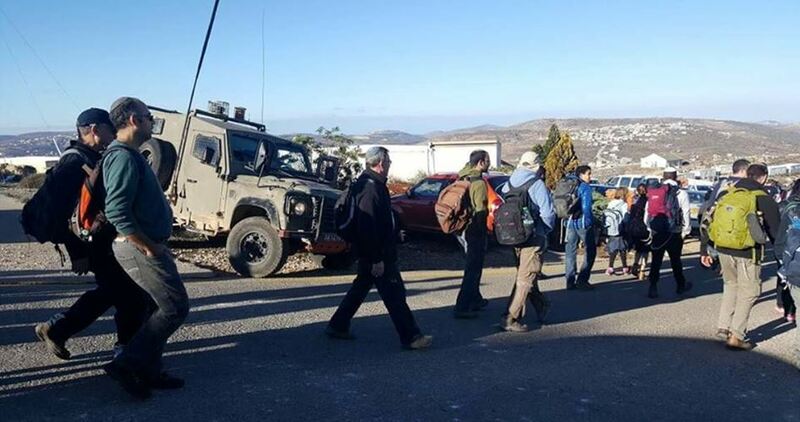 Local sources told a reporter for the Palestinian Information Center (PIC) that settlers from the expanding illegal settlement of Hermesh annexed a wide area of the shrubland located between their settlement and Khirbet Mas’oud. The Palestinian villages and hamlets located near the settlements of Movo Dotan and Hermesh are always targeted by the Israeli occupation authority and settlers. 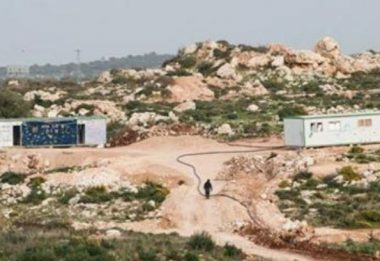 Israeli settlers, Monday, set up a mobile home on a plot of land belonging to the southern West Bank village of Tuqu, east of Bethlehem, said a local activist. 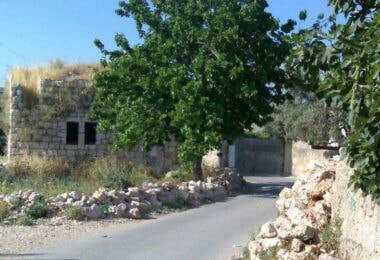 Head of the Bethlehem Office of the Anti-Wall and Settlement Commission, Hassan Breijieh, told WAFA that a group of settlers stormed a 200-dunam tract of land, located to the east of the village, and set up a mobile home, aiming to establish an outpost under the protection of Israeli forces. He added that Palestinian landowners fended off the settlers’ attempt to seize their land and produced their title deeds. Meanwhile, settlers dropped leaflets warning Palestinian villagers against dealing with human rights and anti-settlement activists in Janatah town, to the southeast of Bethlehem. Security source and eyewitnesses said that the leaflets were dropped on Palestinian lands in Um al-Natour area. In specific, the leaflets threatened Palestinian villagers against dealing with human rights and anti-settlement activists, including member of Palestinian Central Council Daoud al-Zeer and member of Janatah Municipal Council Nasri Suleiman. Al-Zeer said that the leaflets were dropped after Palestinian villagers recently fended off a settler attempt to seize Palestinian lands adjacent to the illegal Israeli settlement of Sde Bar. The number of settlers living in Jewish-only settlements across occupied East Jerusalem and the West Bank, in violation of international law, has jumped to 834,000, and settlement expansion has tripled since the signing of Oslo Accords, in 1993. The Israeli occupation Forces (IOF) ordered on Monday the demolition of Asem and Salah al-Barghouthi’s family house. Spokesman for Israeli army Avichai Adrai said a demolition order was handed over to al-Barghouthi family earlier today after refusing their appeal. 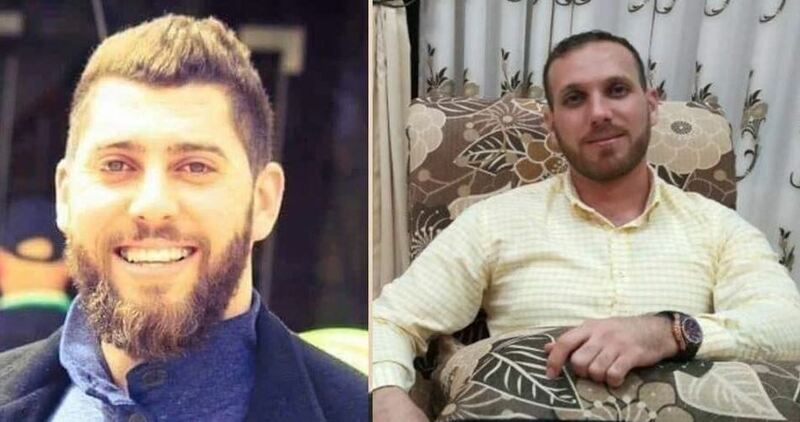 The two brothers were accused of carrying out a shooting attack near Ofra settlement that killed an Israeli soldier and seriously injured seven others. Israeli troops arrested Asem after he carried out a second shooting attack killing two other soldiers near Giv'at Asaf settlement east of the Ramallah, a day after the assassination of his brother Saleh. 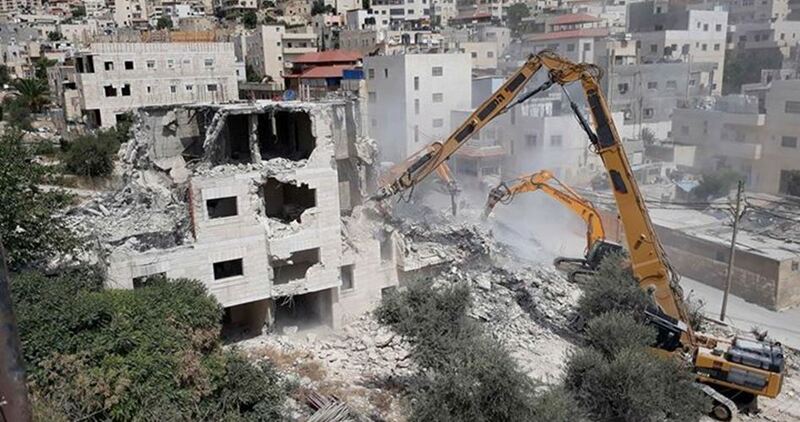 The Israeli occupation authorities on Monday threatened to knock down two Palestinian buildings in al-Khalil’s southern town of Yatta under the pretext of unlicensed construction. The Israeli authorities have ordered a Palestinian citizen to demolish his home in Silwan town in Occupied Jerusalem. Israel's Jerusalem municipality staff stormed Abu Tayeh's home on Wednesday and gave him a half-hour time limit to demolish the house. Following contacts with the lawyer, the time limit was extended until Sunday, but Abu Tayeh demolished the house on Saturday. The Israeli authorities force the Palestinians in Jerusalem to demolish their own homes under various pretexts, like the lack of Israeli building permits. Otherwise, the municipality will carry out the demolition and the Palestinians will have to pay steep fines. House demolition campaigns fall in line with a larger Israeli plan to change the demographic profile of Jerusalem. Israeli settlers on Saturday attacked a Palestinian home in al-Arroub refugee camp in al-Khalil. 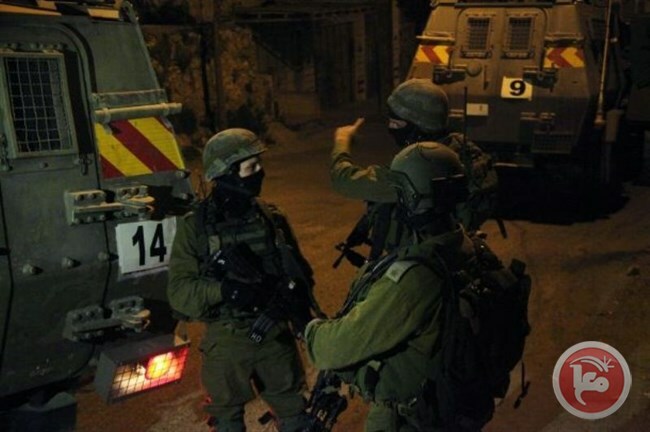 Eyewitnesses said that a group of settlers, escorted by Israeli soldiers, raided the house of the Palestinian citizen Ahmad Abu Surour, insulted the family, and attempted to force them out. The Israeli settlers claim that Abu Surour's house belongs to a nearby Christian institution they have taken over. Israeli forces detained at least four Palestinians, on predawn Saturday, from different areas across the occupied West Bank.